In an emergency, fire departments rely heavily on fully functioning hydrants. Though quite sturdy and long lasting by design, fire hydrant components do wear out over time. To avoid dangerous equipment failure, follow a regular schedule of fire hydrant testing and inspection to keep hydrants accessible and functional at a moment’s notice. When inspecting a fire hydrant, consider the lifesaving role it plays. Keep an eye out for obstructions on or around the hydrant that could prevent access by fire crews. The area around a hydrant should be clear so it can be quickly located and easily accessed. Be sure to check local regulations, aiming for an annual or semiannual inspection schedule. The hydrant itself needs regular attention. Hydrant outlets, auxiliary valves, and caps should all be in good working order. Externally, watch for issues like leaks, standing water, sinking soil, or visible signs of impact damage. Inspection alone only shows part of the picture. Flow testing should be performed on a regular schedule, especially if an inspection indicates possible problems with the hydrant. Even with clear inspections, flow testing is still necessary. Both the volume of water and the water pressure are important. The pressure in a water main itself can vary quite a bit depending on the time of day. Insufficient water pressure can indicate a problem with the hydrant itself or the water main from which it draws. Comprehensive flow testing may require specialized equipment and software. It requires expertise, accurate calculations, and meticulous record keeping and should only be performed by qualified professionals. Time is of the essence when fighting a fire, and a fire hydrant that doesn’t flow can cause deadly delays. From broken operating nuts to debris clogged valves, anything that impedes the flow of life-saving water must be corrected before crunch time. 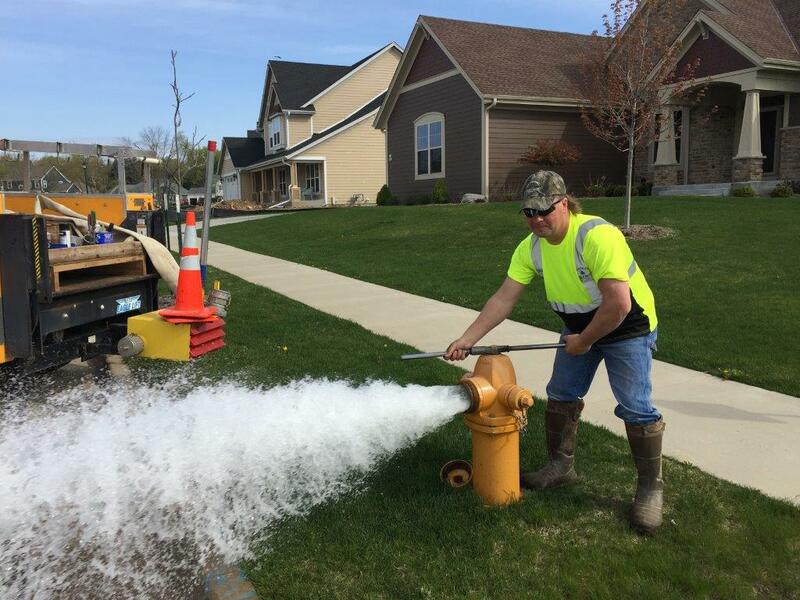 A regular schedule of fire hydrant testing is vital for both public and private hydrants.